Sometimes being in the right place at the right time just means doing your job, and caring! I was terrified. My four-year-old son had awakened with unexplained bruising, and while there is a lot more to this story, I’ll leave that for another time. After my oldest was done with school that awful day, I loaded the kids into the car to drive the hour to the pediatrician. I worried that Andrew was anemic and I wanted to cry because I didn’t know what to do. It’s obvious, right? Go to the doctor? But I’m a teacher, a mandatory reporter of child abuse. I am NOT a medical professional and didn’t even like to hear medical stories. As a teacher, I knew that investigations came with reporting bruising so imagine the quandary I felt taking in a little boy who had no clue why he was bruising, but made up stories of sisters pinching or daddy hitting him with a bat to account for them! I didn’t want my children taken away, even for questioning. When I got to town, the bruising had spread to his arms and legs and suddenly my fear switched gears. I was no longer afraid of someone suspecting me of anything. In fact, my trembling self began to wish that would be the problem to face. I called my husband, Randy, and told him he better drive into town as well, that Andrew now looked far worse than he had an hour ago and I headed to the emergency room, still trying to convince myself that I was an over-reacting mom. From that point on, the whirlwind started because in moments Andrew was in a room getting worked on by many people. Dave stayed with us, even after he was off duty, to make sure we were going to be taken care of. Of course, there’s a lot more to the story, like the part where Andrew’s veins kept collapsing and so they couldn’t draw blood and in that process how Andrew’s tears came out pink with blood. There’s the surreal feeling of being in a small emergency treatment cubicle with three children and having your world fall apart while the kids eat pizza brought in by Dave. 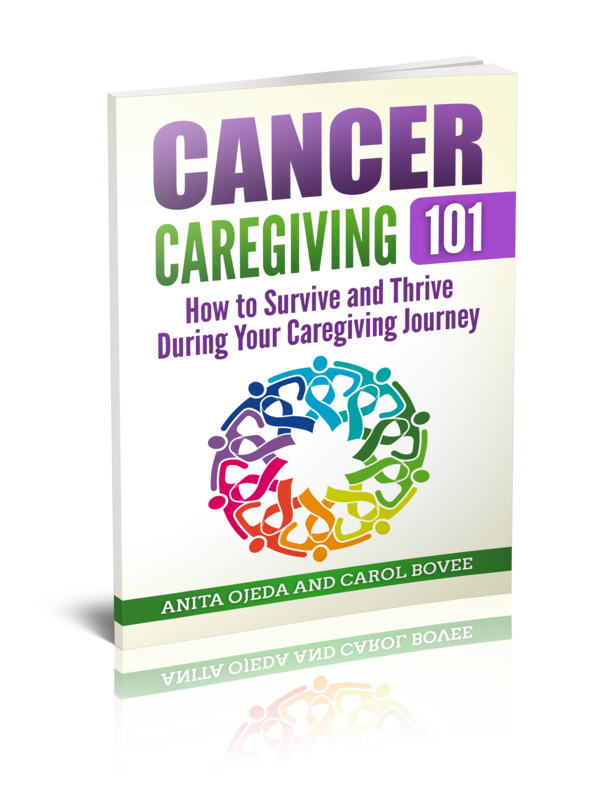 There is horror and terror and all the overwhelming things that come with an Acute Lymphocytic Leukemia diagnosis. But there was peace too. Because in those first few terrifying moments of rapidly growing cancer, God sent the first of many friends and family to help. A whole community of supporters which began with Dave, an ER nurse and friend, just doing his job. Sometimes, my dear readers, “just doing your job” is someone else’s unexpected blessing! 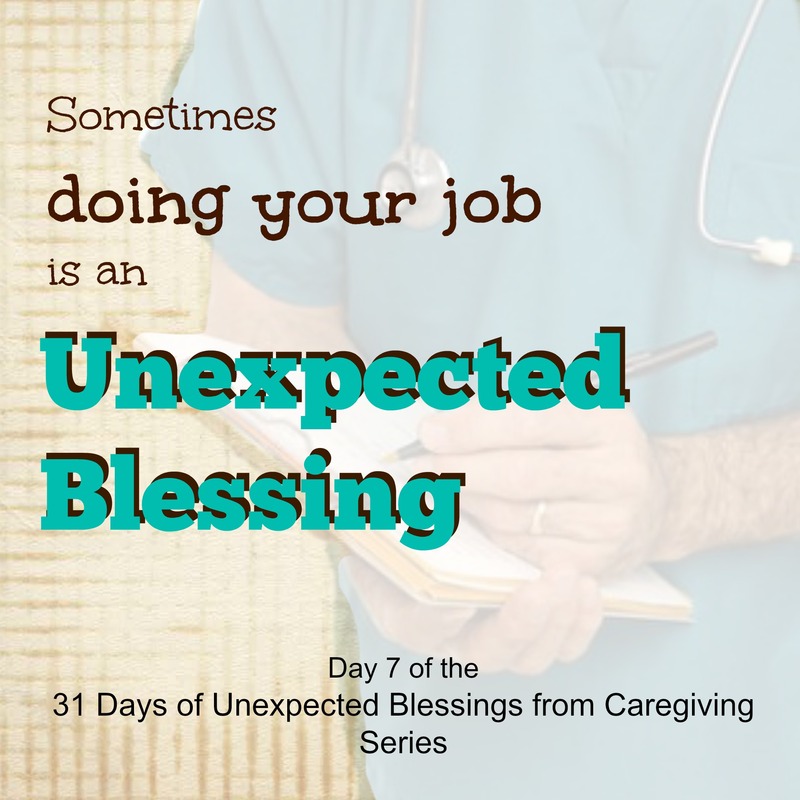 Check out the rest of the series of 31 Days of Unexpected Blessings from Caregiving!